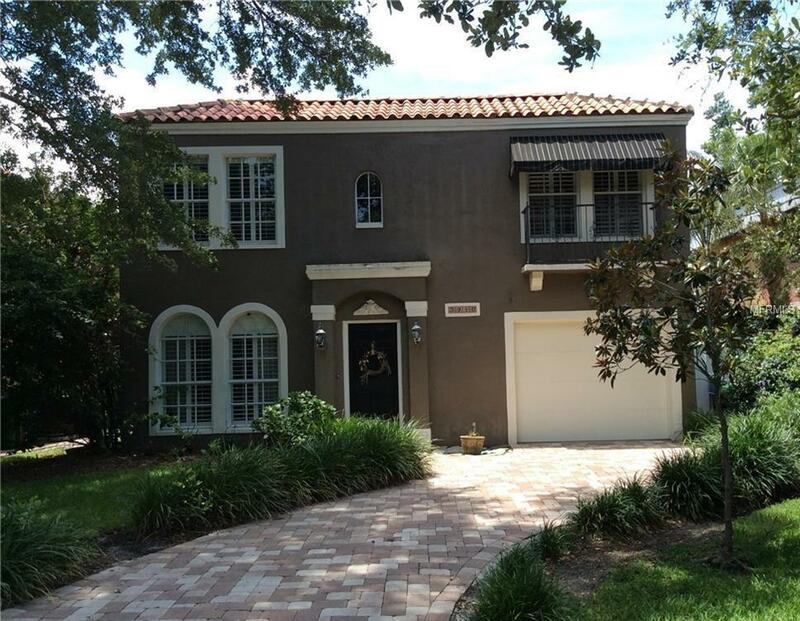 Charming Mediterranean home in a highly desirable South Tampa with a private backyard with in-ground pool, lush landscaping with a waterfall and all travertine throughout the backyard. Outdoor features include wet bar with sink and small refrigerator. The home features wood and tile flooring, plantation shutters and a beautiful wrought iron staircase railing. The first floor includes a formal living room and dining room, along with the beautifully updated kitchen featuring stainless steel appliances, granite counter tops and tile back splash. Open the French doors just off the family room to enter your own private retreat. The spacious master suite is equipped with double walk in closets and a lavish bathroom with garden tub, shower and double vanity. Call for your private tour of this beautiful South Tampa POOL home soon, with this prime location it certainly wont last long! Listing provided courtesy of Chirino Real Estate.